Middle school students from seven school districts attended STC’s “Rockin’ IT” event at the Technology Campus on Nov. 2. The event has been designed to inform students on the various programs available at the college as well as expose them to careers in Science, Technology, Engineering and Math (STEM). At the event, students attended various sessions including Advanced Features in PowerPoint, Photoshop, Cyber Security, Computer Networking, and Coding. Districts in attendance included McAllen ISD, Hidalgo ISD, Mission ISD, PSJA ISD and Sharyland ISD. 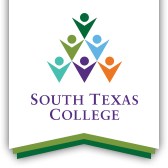 The Kinesiology Department at South Texas College welcomed 319 participants and volunteers who collectively donated 2,821 pounds of food to Food Bank-RGV on Nov. 17. Winners in the men’s division were Ramsey Moreno in 1st place, Sergio Mireles in 2nd place, and Ignacio Ochoa in 3rd. Overall winners in the women’s division was Selena Vargas in 1st place, Jazmin Garza in 2nd place, and Lucero Spolyar in 3rd. Over the last 13 years, Turkey Trot has provided 17,402 pounds of non-perishable food items to the Food Bank. STC Student Activities and Wellness held its annual sports tournament for Early College High Schools Saturday, Nov. 17 at its Pecan Campus. Since its inception, STC has hosted an average of 10 partner schools along with 300-350 student participants, coaches, teachers, counselors, principals, family members, and fans every year. The tournament is a daylong event that includes soccer, volleyball, and basketball games for all participants.